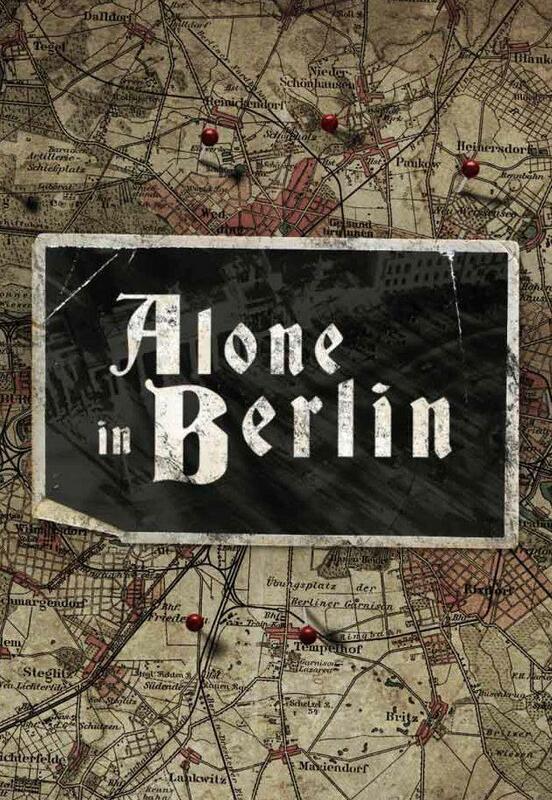 Adapted from Hans Fallada’s highly acclaimed 1947 novel, Alone In Berlin is a story based on real life events which took place in Berlin at the heights on Nazi rule. Staring Emma Thompson and Brendan Gleeson, the film delves into one of Europe’s darkest hours and addresses the everyday acts of quiet resistances by ordinary German citizens during that time. Alone In Berlin not only tells an important story about stoic resistance to a hateful destructive ideology, but it also allows these acts of rebellion to be shared with a wider audience. Directed by actor turned director Vincent Perez, Alone In Berlin is expertly crafted visually and has more heart and urgency that you could ever wish for, even if it is ultimately let down by a less than perfect screenplay. The film recounts the story of Anna (Thompson) and Otto (Gleeson) Quangel whom Fallada based on real life couple Otto and Elise Hampel, and tells of how a symbolic gesture of resistance against the Third Reich managed to capture the imagination of millions of people even decades after the couple’s death. Enraged by the lies of the führer, and after the loss of their only son in battle against the French army, law abiding machinist Otto and his distraught wife Anna, decide to take matters into their own hands by defying the Nazi party and their rules. Dismayed by what has happened, Otto starts writing anti-Hitler propaganda on postcards which he and Anna then discard all around Berlin in the hope of other people finding them and sharing their rage about what is happening to the country. The brilliant Daniel Bruhel also stars as Escherich, a bright and thorough police chief on whom it falls to find the culprits and bring them to justice. Tortured by his own misgiving at the ways the things have so far been handled by his own superiors in the Gestapo,for whom he has very little respect, Escherich manages to meticulously compile almost very postcard handed in to the authorities by the public, and starts to build an imagine of who is behind these acts. Perez whoas well as directing co-wrote the script, manages to convey the story with a great deal of nuance and sensitivity to the subject. While Emma Thompson and Brendan Gleeson bring a certain amount of class and reverence to their roles without ever overdoing it. The film does the usual thing of having English speaking actors speak in with a german accent, something we have seen more and more lately, but at no point are we ever put off by this. It’s true that Alone In Berlin is far from perfect, its script suffers from pace issues and can feel a little too repetitive in places. Having said that, the director and his cast must be commended for bringing such a fascinating story to a larger audience of people who would not have necessarily read the novel or watched the documentaries consecrated to Otto and Elise Hampel. A genuinely touching story, with has a huge amount of heart if nothing else.